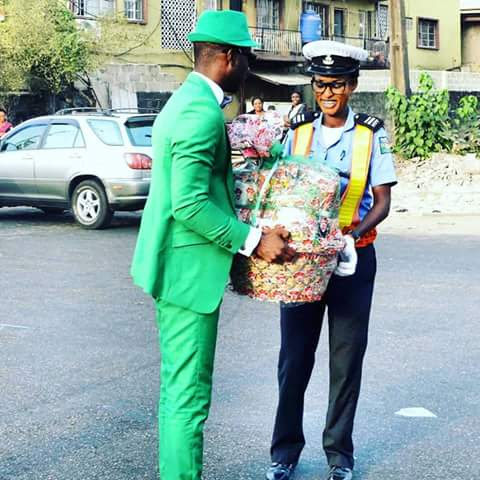 For people who regularly drive through Yaba/Akoka in Lagos State, you should be familiar with this female traffic warden who always regulates traffic on that axis. She’s always diligent and always has a smile on her face.Yesterday, someone decided to surprise her with a hamper..
Hard work pays! You never know who might be watching at any time.